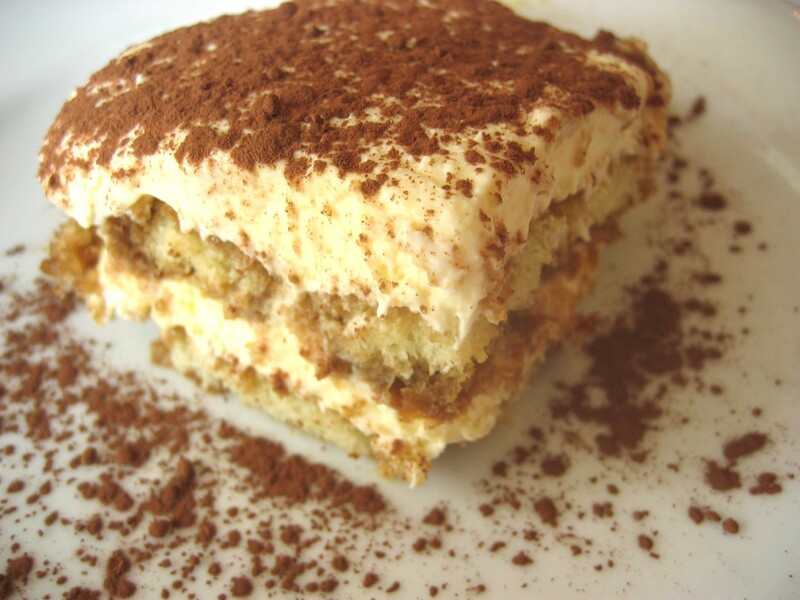 I love tiramisu and heard one of my friend (Lohita) had tried it out with slight variations. Here is the recipe. I havent tried it out myself but plan on and will update on how mine turned out. Beat together yolks and 1/2 cup sugar in a large bowl with an electric mixer at medium speed until thick and pale, about 2 minutes. Beat in mascarpone until just combined. Beat whites with a pinch of salt in another bowl with cleaned beaters until they just hold soft peaks. Add remaining 1/4 cup sugar a little at a time, beating, then continue to beat whites until they just hold stiff peaks. Beat cream in another bowl with cleaned beaters until it just holds soft peaks. Fold cream into mascarpone mixture gently but thoroughly, then fold in whites. Stir together coffee and Marsala in a shallow bowl. Dip 1 ladyfinger in coffee mixture, soaking it about 4 seconds on each side, and transfer to an 8-inch glass baking dish (2-quart capacity). Repeat with 8 more ladyfingers and arrange in bottom of dish, trimming as needed to fit snugly. Spread half of mascarpone mixture evenly over ladyfingers. Make another layer in same manner with remaining ladyfingers and mascarpone mixture. Chill tiramisu, covered, at least 6 hours. Just before serving, sprinkle with chocolate. Here are a couple of suggestions and variations my friend did. Tried the recipe and it came out really good except for a few glitches here and there with my filling being a little loose :) but it tasted really good.